← Cain, Rejectee Or Rejector? As I write this blog today, Tuesday August 25, 2015, I am filled with grand memories of hidden practices away from the eyes of individuals and groups of people who would on any given game day witness the progress of this person who worked hard when no one was looking, without ever knowing the grueling process that took place in private! Bouncing tennis or rubber balls off outside walls of houses or buildings just so I could practice fielding “grounders” without a glove on so that I could be prepared for any and all abnormal bounces that may happen in a game. Laying on the ground outside with my eyes closed throwing a baseball or football as high into the air as I possibly could from that position, then jumping up to my feet still with my eyes closed so I could improve my vision and reaction time when finally opening my eyes, the ball already on its way back down I may have to quickly reposition myself to make the catch. Painting a “home plate” on the outside wall of a house or building then backing up to the proper distance so I could work on my pitching skills. Juggling for improved hand to eye coordination. Last week I found out that I had been selected to be inducted into the Glynn County [Georgia] 2016 Class Sports Hall Of Fame! As I listened to a friend and former teammate of mine, Jimmy Brown, explain to me the process by which I had been selected along with four other individuals I was both honored and humbled! By the way – I am still honored and humbled and will remain honored and humbled! Who would have ever thought that would happen? Thinking that those hundreds and more than likely thousands of hours of private workouts away from the spotlight would one day pay off by being chosen to be forever remembered for what people saw in public – NEVER! What I did I did not for the glory of man, not even this man! I did it for the teams I played on and the teammates I played with! I played team sports and there is absolutely no way I could have been selected for this great honor if it had not been for the many different members of the various teams I played on. These teammates paid their own price to be good enough to make the teams we played on together and to make the teams we played on great. Combining the private and individual practices with all of the corporate practices paid off with multiple championships! I am so blessed to have grown up in an era that gave me the opportunity to win 5 State Championships [4 in baseball and 1 in football] in a 7 year period. My lifelong dream of becoming a MLB player never materialized! Was I good enough to have played in the Major Leagues? I will never know. But one thing I do know is this – the reason I did not make it was not because of a deficiency in effort on my part, not in private or in public. So, today the announcement has been made in our local newspaper, the Brunswick News, and I am now free to make the announcement as well. So, I am posting this blog on my various social media sites. The following is the bio on me that is in the press release to the media! Drury batted .380 as a junior for Max Braun’s Red Terror state champions − the only Glynn baseball team to win a state title − and then came back in his senior season to bat a sizzling .472 with 30 RBIs before Glynn fell in the state playoffs in Macon. Drury was a three-year starter and letterman for the Terrors and helped them also win two Region 3-AAA championships and two Class AAA South Georgia championships. Drury was then drafted in the fifth round of the Major League Baseball Draft by the Chicago Cubs and played six seasons of professional baseball, climbing through the ranks of Class A and Double-A to make the Cubs’ Class Triple-A team, the Wichita (KS) Aeros in 1979. Drury’s best season came in 1978 while playing for the Class Double-A Midland (TX) Cubs when he batted .319, had a .500 on-base percentage and was named to the league all-star team by the managers at season’s end. That season, Drury was called up to the Triple-A team where he hit for a .444 average before then being sent back down to Midland to help the team in their fight for a pennant. Of course, the next season, Drury would be promoted to Class Triple-A. 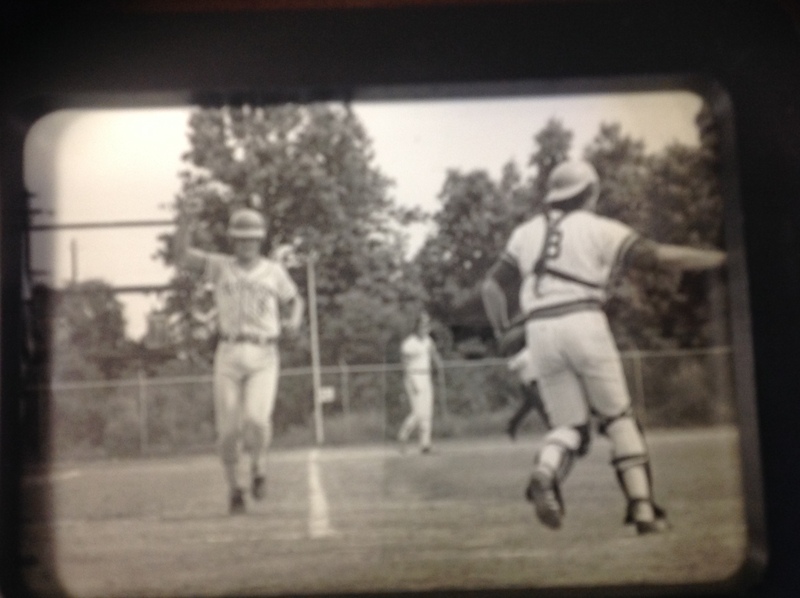 Prior to playing for Glynn, Drury was one of the best-ever youth baseball players to come through the Brunswick Recreation Department program. In fact, he may have the distinction of being the only local athlete to play on four state championship teams in baseball and one in football. 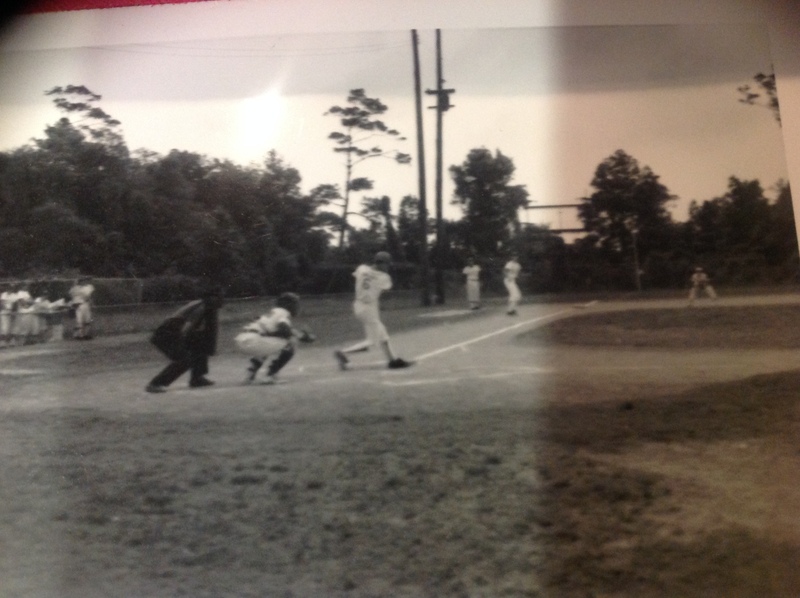 He won baseball state championships as a 10-year-old, a 14-year-old, as a junior at Glynn in 1973 and that summer as a member of the Glynn County Recreation Department Senior League all-star team. 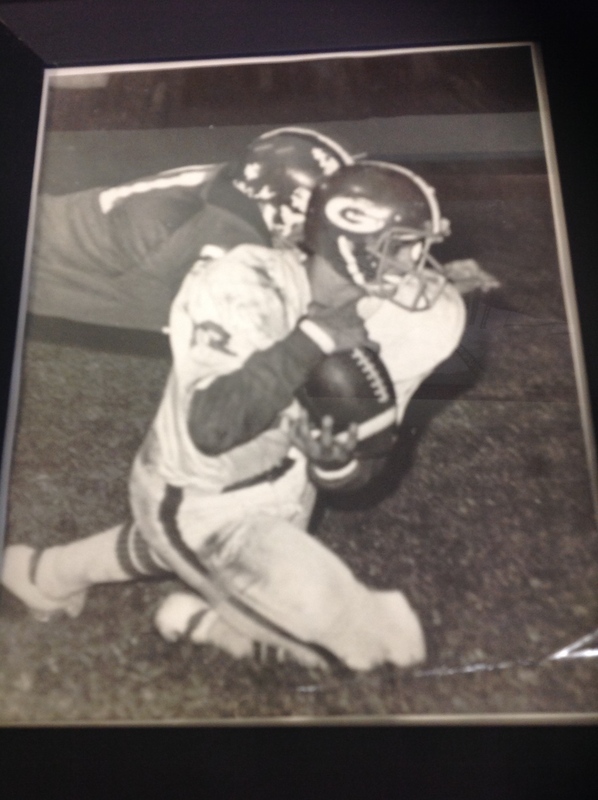 As a quarterback, Drury guided the City Optimist 13-year-old All-Star football team to the state championship in Calhoun in 1970. Drury was featured in Sport Magazine in the October 1974 issue which had Reggie Jackson on the cover. A writer for the magazine came to Brunswick and interviewed him before a Senior League game at Edo Miller Park. Drury also enjoyed an outstanding football career at Glynn Academy. Starting two years at split end in the Terrors’ run-oriented veer offense, he had a total of 40 career receptions for 613 yards (15.33 yards-per-catch) and nine touchdowns (one TD per 4.4 passes caught). 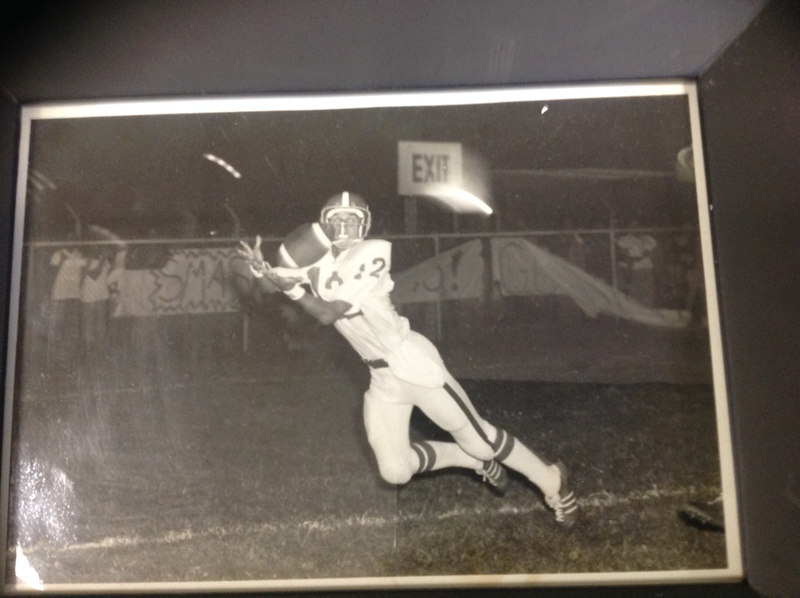 In his junior season in 1972, Drury helped lead the Terrors of Coach Charles Pruett to the Region 3-AAA championship. After defeating the Waycross Bulldogs for the region title, Glynn fell to the Moultrie Packers and quarterback Ray Goff in the first round of the state playoffs in Moultrie. Pruett said at the time Drury “had the best hands he had ever seen on a receiver.” Drury earned Glynn MVP honors his senior season when he also played in the defensive backfield. As the starting punter for the Terrors his junior and senior seasons, Drury averaged over 36 yards per punt even though he was called on repeatedly to pooch punt on or about the opposing team’s 40-yard line. Well as the saying goes, “That’s it folks!” Well not exactly! There is no way to thank everyone who played a huge role in my being honored with this induction. I do feel though that I need to say thank you to some of the people who helped shape and guide me through the toughest years of my life. For the selection and nominating committees for the Hall Of Fame! Thank you for recognizing what I have accomplished. This means more to me than I could ever convey! My dad [Dr. E. C. Drury, D.C.], who died when I was 10 years old, so he never got to witness the process that paved the way for me to get to this point. Yet without his love for life and his love for sports I would have never even gotten started on this path. The basic mechanics of throwing and catching footballs and baseballs, hitting baseballs and runners with footballs, as well as kicking footballs. He also taught me how to play basketball but I was never very adept as those skills. You may not be the biggest, baddest or the fastest, but if you work harder and hustle all the time people will notice and want you on their team. Work on the things you are not strong in without neglecting working on those things you are strong in. That way you will be a more balanced athlete. My mom, Gloria Drury, was by far my most avid supporter. She died in October 1978 and missed the last 2 years of my professional career. Her fervor in the stands is still remembered by many people, especially the umpires and referees who bore the brunt of her assessments of their performance! Sonny Miller, the Director of recreation for the City Recreation Department specifically, and all the people who made the City Recreation Department a safe place for young people to hang out. If it had not been for Sonny, his staff and “THE Rec Department” I do not think I would have made it to adulthood. Coach Charlie Pruett, a coach that was a genuine Christian who lived his Christianity in a way that was modeled not mandated. 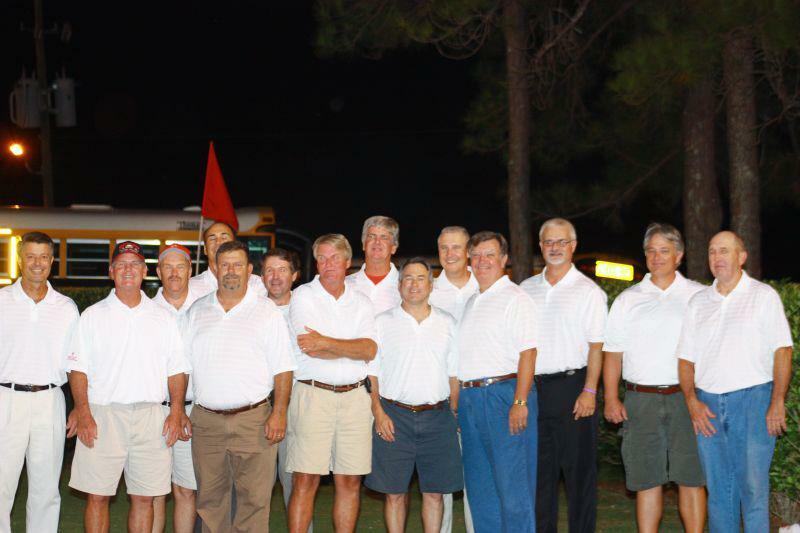 Coach Pruett created a culture of honor in a sport that was violent and unmerciful. “You will not win by just showing up. You will have to hit harder and play smarter than the person opposite you in order to win” was a favorite quote that I remember! Max Braun, the greatest high school baseball coach any athlete could ever play for. His obsessive compulsive focus on the fundamentals of the game and getting and staying in shape helped to shape the disciplines in my life that I needed to carry me past the problems of that day into my future. Max’s knowledge of the game of baseball and his incessant demand for excellence enabled me to enter into professional ball not needing to be taught any of the fundamentals required to play the game of baseball efficiently and effectively. The level of discipline he exerted on our teams helped to keep me anchored to my dream of playing in the Major Leagues. Although I strayed in certain ways I remained steadfast in my quest to reach my full potential and fulfill what I believed my purpose in life was. The last shall be first! Donna Drury, my wife of 41 years and the love of my life for 44 years. We connected at the “Rec” and have been on an amazing adventure together. Donna’s loyalty and level headedness has kept me pursuing what I am passionate about and life would never be the same without her. She has always been there to help me press on during the hard days that at times turned into weeks, months and even years at times. Donna’s passion for love and life have been an inspiration to me. Her dedication and determination to pursue excellence has helped me understand the difference between a spirit of excellence and the spirit of perfectionism. Perfectionism is a cruel taskmaster while excellence is a virtue to be attained. The absolute most important Person in my life, although until I was 23 years old I did not have a relationship with Him, is the God and Father of my Lord and Savior Jesus Christ. God gave me passion and purpose. He instilled into me in my mother’s womb certain innate abilities that more than compensated for my lack of size and speed. Instinctively ‘knowing’ where to be and when to be there allowed me to make plays other players only dreamed of. These are qualities and characteristics that cannot be taught, just like heart, effort, passion and purpose. The greatest gift I believe He gave me is the belief that I was born for greatness. I have carried greatness in my heart all of my life. I ‘instinctively’ knew, and I am still keenly aware that I was not born to be normal. That ‘knowing’ has driven me to get the most out of my life no matter what life presented me or where life took me. I have always ‘run’ to win! I will always ‘run’ to win! This entry was tagged Championships, Dreams, Excellence, Great Athletes, Great People, Great Work Ethic, Greatest Era, Hall Of Fame, Hall Of Famer, Honored, Humbled, Innate, Memories, MLB, Perfection, Practice, Unmatched. Bookmark the permalink. Very exciting. I am proud of you, mostly for pressing on, especially with Our Father GOD. May His joy, peace, and wisdom fill you and in turn your life continue to glorify Him. Thank you Roberta. How did you find my blog?